•Dual lens and frame with unique outer flip lens system provides users with multiple options. Flip the outer lens up for general applications. Flip the outer lens down for applications where tinted lenses are needed. •3-angle adjustable flip lens allows users to freely adapt to different working procedures. 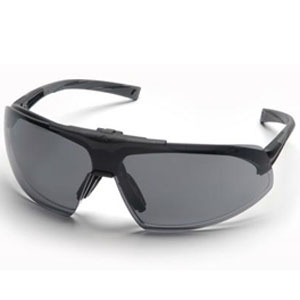 •This utility spectacle encompasses ultimate vision protection with a stylish design and various functional features. •Newly designed adjustable nosepiece provides 3 different angles, allowing the user to find the most comfortable fit.